SM Zayedur Rahman Zayed opened Shape and Form years ago with the sole intention of introducing Dhaka to a shop that specialised in lamps. This art institute graduate wanted to paint the city terracotta with terracotta and that's why Shape and form predominantly sells terracotta lamps. Also rumoured to be the pioneer of terracotta jewellery, Zayed designs the lamps, wall vases, vases, terracotta items and jewellery all by himself. A dear friend of his does the oil and watercolour paintings that Shape and Form also sells. The shop also stores separate lamp pieces for customers in need and even takes special lamp orders that are done within three days. The lamps are mostly done in terracotta but have intricate carvings on them. 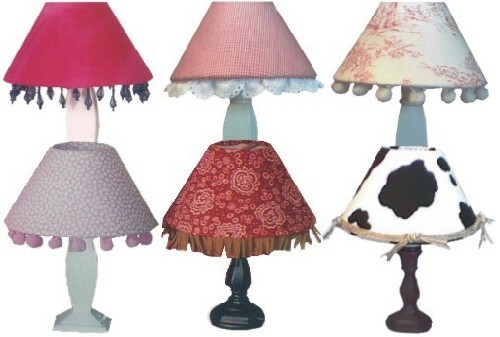 There are also lamps done in ceramic and wood. Lamps start from Taka 200 and go up to Taka 2000. The shop also has clocks that begin at Taka 150 and range up to Taka 600. And the terracotta products start from Taka 40 and go up to Taka 1000. Next to all this Shape and Form also does home interiors in terracotta and tile chips. So if you are home shopping and need lamps or you're looking for that ideal gift, Shape and Form is the place to go. Their address is: 2, J&J Mansion (1st Floor), Sobhanbagh, Road-13, Dhanmondi. Fashion does not seem to know where to stop. Recently there was a news item on Discovery showing the latest in personalized accessories eyeball jewellery. Yes, it does bring tears because most people would cringe at the thought of something in their eyes. The picture above did manage to freak out several relatives, a mother, a bunch of friends and now probably a huge bunch of LS readers. Weird as it might seem some people will go to any lengths to be different. The promoters suggested that it's a lot different than tattoos or piercing in the sense that it is very subtle. It was developed by Dutch eye surgeons in Rotterdam and the whole process has something to do with implanting tiny pieces of jewelry called "JewelEye" in the mucous membrane covering the eyes. Shapes can take any form like hearts, stars or initials. The procedure has been carried out on a few women and surprisingly (or maybe not) a guy also had it done. The report said that there is no harm to the eye by implanting a foreign object. So what's next? Color coding the brain maybe? A fruit flavoured oral saline will definitely taste better during those sick days of diarrhoea. SMC is marketing oral saline in orange and mango flavouring. Especially prepared for kids, who often don't enjoy the regular taste of ORsaline, each sachet will cost you tk.5. These ORsaline sachets are available in your nearby pharmaceutical stores. So gone are the days when your child got into a tantrum during diarrhoea. Savlon is ACI's one of the leading brands, producing a wide range of antiseptic liquids for personal hygienic purposes. An addition to their product line is Savlon liquid soap, particularly prepared to wash hands. Each easy-to-use bottle is available at tk.85 in all the leading superstores like PQS, Agora, Nandan etc of Dhaka. You can even find this sterilising hand wash in the general stores of your vicinity. Buy one and encourage your family members to use it before and after every meal. It's healthy and highly recommended that you remove every little food remaining from between your teeth after every meal. Dental Floss picks are available in almost all the drug and the toiletry stores of the capital for tk.30 only. Check out Lazz Pharma and the pharmaceutical stores of New Market, Dhanmondi, Gulshan and others for dental floss picks. If you have an infant at home, then diapers are a must-have item for you. Long gone are the days when you undressed your child in front of 20 other people and changed his/her wet clothes. Pampers make high quality diapers just for your babies; each pack containing 24 pieces will cost you tk.450, and are available in the branches of Almas, Priyo, stores of New Market, Elephant Road, and in any superstore of the capital. Local brands like Touch and Fay also make quality absorbent diapers, which are available at tk.100 and tk.200 respectively in most superstores of Dhaka. Those special days every month no longer considered disturbance to a woman's life. They however need special comfortable sanitary napkin to keep them fresh. They need items that will help them maintain the busy schedule with no embarrassing incident. Banshundhara recently introduced their latest product Monalisa Sanitary Napkin. It is being manufactured with latest German technology. Monalisa Sanitary Napkins is now available in every drug store in 12 different sizes. Price vary from tk35 to tk45. Much has been said about the romance of candle light. Indeed candles have become popular collectors’ items over the past few years. Hallmark has a nice collection of gel candles, that come in interesting glass containers, in the shape of champagne glasses, with things like shells and dried flowers embedded in them. They cost around Tk 175. Once they were young and reigned over the world with perfect strength of mind. Time has brought them to a certain state when they cannot do everything with the previous strength and faculty any more. They have become someone's grandparents. There was a time when they looked for our well being, it is now their turn to sit back and enjoy the world they have created. It is a custom in Bangladesh that children look for their old. However, not always it is being done with care. This could be the first step in creating a good environment for senior citizens. When people grow old they like to share the things they experienced and savoured. To restless young people it might seem meaningless talk about days passed by, words that does not mean anything anymore. Yet it can be enjoyable too. Having a grandparent at home, someone to cuddle in bed with and listen to all the stories of their time, is always a nice experience. There are always possibilities of sudden illness if there are senior citizens at home. Make sure to have phone numbers of hospitals, ambulance services, and 24-hour medicine stores. Best ways to find 24-hour medicine stores would be to go to major hospital. Lazz pharma at Kolabagan is one store you can always count on. Then there is one adjacent to Gono Shastho Nogor Hospital. M/S. A. M. (Drug) Store adjacent to PG hospital stays open at night. There are also two stores inside PG and BIRDEM hospital. Some drugstores in front of major hospitals like DMCH, Shohrawardi, Rushmono, and Shishu Hospital stay open 24-hour. Alif Ambulance at 89/2, Panthapath, Al Amin Ambulance and Shomorita Hospital also at Panthopath, Holy Family at Ramna, Rushmono at Mogbazar, Monowara hospital near Viqarunnesa School provides 24-hour ambulance service. Apart from all these private efforts, there is one government effort from Fire Service and Civil Defence Ambulance, which provide cheap service 24-hours a day. The only place where senior citizens of our country meet new people is the mosque. Helping them meeting new friends can help lessen their loneliness. Arranging get togethers for all the senior citizens of the neighbourhood is a great way to help them make new friends. A family gathering can also bring joy for them.